Great boulder. I like every move!! Better than cutting edge, imho. The first move was a good test of my shoulder, post injury. 4-5 attempts? Damn the movement on this one was sick. Love that jump to the arete. Super cool movement. Feel like I coulda flashed this one. Two tries! I totally dig the first part of the climb. Glad I got that one pretty fast today. Tried if Feb. Felt a lot easier this time. Progress! Walk passed it a bunch. Worth checking out! Pretty cool moves. Used some Keith Chan beta. One of the few dry problems today. I've walked by this thing so many times. Really glad I finally got on it! Good fun. Burly. Almost ran out of steam at the end. Not flashing this cost me a ton of skin and blood. 5 sessions on this because I'm a gumby, and super psyched to have finally finished. Will be back here for First Nations Giver. First hard problem in Squamish. Shouldery! A deceptively good climb, certainly 4 stars. Excellent one in my book! 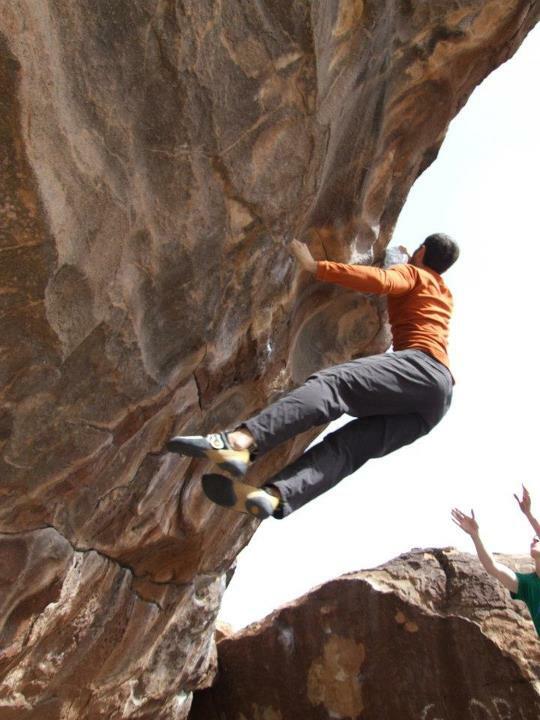 Giant first move was my crux. Fun heel and lock-off moves! The first half is great fun along the dis-joined rail. tough for me, dont really wanna get on this again. fell into the pit once! hot sun! last year i thought the first move was too reachy.. this year it was easy! Apparently harder for me than Mindbender Low! Nemesis. Dan G. and Colin D.`s house just happens to be condemd crack house (for real! ).